I have a friend whose ultimate mission in life is to learn and master as many languages as he possibly can. To date, he is already fluent in eight. Eight! And he is not going to stop adding more to his list anytime soon. But although having such skills would dramatically increase our understanding of the world, being linguistically ambitious is a serious commitment. Learning a new language is more than just memorizing tongue-twisting words and complicated grammatical rules because every language is linked to a culture of its own – some, or even many of which are completely different from what we have already been accustomed to. Not all of us are willing to invest time in learning a foreign language, no matter how appealing it may be. And yet curiosity is often hard to resist. 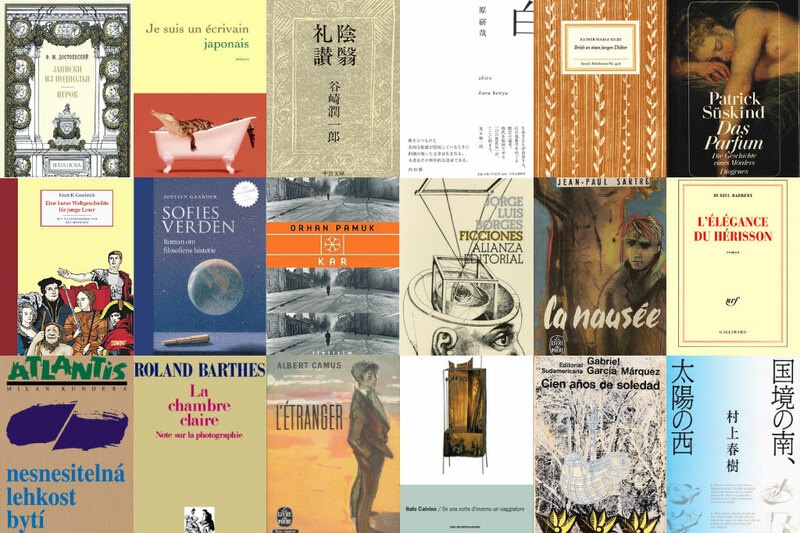 Readers who are hungry for stories and ideas written in languages other than that (or those) they already know would mostly turn to translations. If I had not opted for such a shortcut, I would never have had the experience of being blown away by the memorable final paragraph of Gabriel Garcia Marquez’s 100 Years of Solitude. Although I knew that I was not reading the exact words that Marquez had personally selected, I was happy that I had, at least, got to enjoy his idea. But how would I know if I really did read his idea? It is a suspicion I hardly ever act upon, but it is also one that I cannot entirely ignore. Since reading Ersan Uldes’s “A Professional Behaviour,” a short story about a translator who, in addition to making the novels of a German writer available for the Turkish market, completely changes – or in his words, “corrects” – the plot, I have felt a growing sense of powerlessness when reading translations. Even though it seems silly to let oneself be affected by a fictional translator to the extent that one can no longer find pleasure in a translated short story or novel, Uldes’s tale emphasizes the crucial role of translators, and how their job is heavily based on trust. For writers to allow their work to undergo major changes – perhaps into a language they themselves cannot speak – surely evokes a lot of anxiety. The situation for readers is not any better either since they will be vulnerable to potential deception. Looking at it from this rather paranoid perspective, language becomes a sort of privilege. The bilingual, or maybe even multilingual, writers and readers will have an advantage. But I believe that translations are not made with the intention to exclude people. If anything, translations exist for the complete opposite – that is, to share ideas in the hope that they can expand one’s point of view. It is therefore important to grasp the main idea of a novel or an essay instead of worrying about style and other prose-related elements. “The original is much better than the translation,” is not a comment that is rarely heard. While the work written in the original language is undoubtedly the one that is closest to the writer’s philosophies and emotions, I do not think it is fair to say that it is “better” than other versions for that reason alone. To say that the original version is better creates the impression that those who are unable to read it are deprived of something crucial. I think that doing so would defeat the whole purpose of translations because as I have already mentioned earlier in the essay, they exist to make more – not less – people gain knowledge through the diverse experiences of those who speak and write in other languages. Comparing two languages is like comparing an apple and a banana. They are both fruit, but each has its own distinctive texture and flavour. And as I have mentioned earlier, the original work ought to be strictly considered as the core of a flower. The language chosen to elaborate the main ideas found within that core are the flower’s petals. Clearly, there are cultural nuances that even the most skillful translators fail to convey. Some decide to solve this glitch by italicizing culturally specific words or phrases that are untranslatable, a gesture that readers ought to see as an invitation to get even more intimate with the culture in question. As long as translators do not tamper with the facts written in the original work like the character in Uldes’s short story so shameless does, writers and readers must fully trust the professionals whose job it is to destroy language barriers. Because without the will to solidify that sense of trust, we would be stuck in a monotonous world.